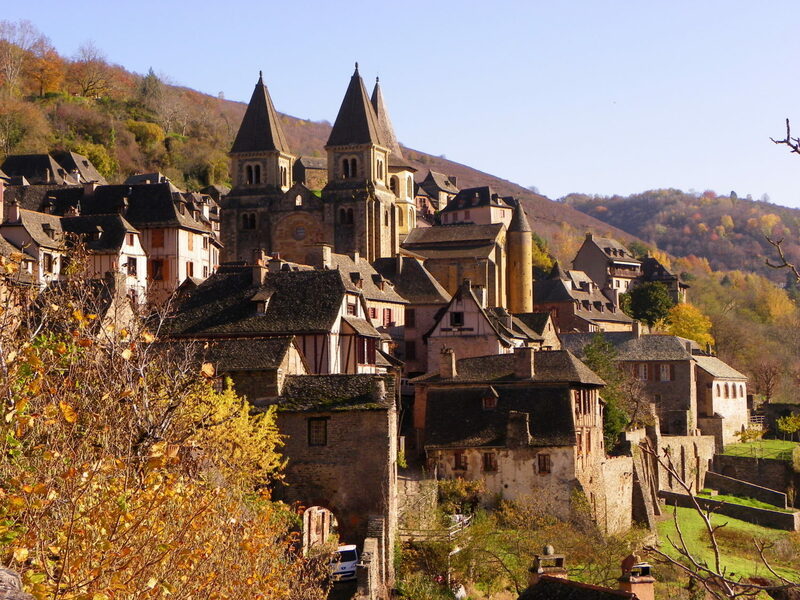 …and you’ll see that Conques’s beauty penetrates down to the smallest dimensions. It’s an untidy, rustic beauty with charm that awakens parts of us long deadened by modern environments. 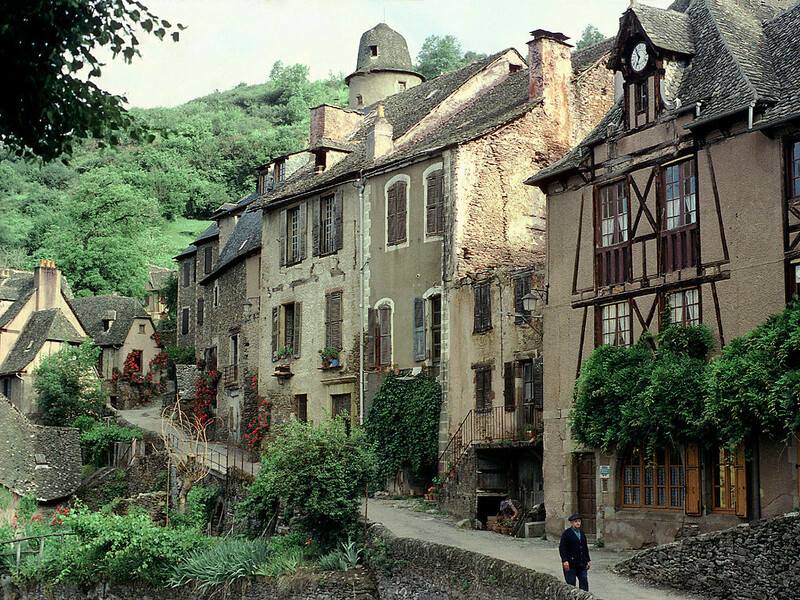 One feels at peace in Conques’s main streets and intimate nooks. Why? 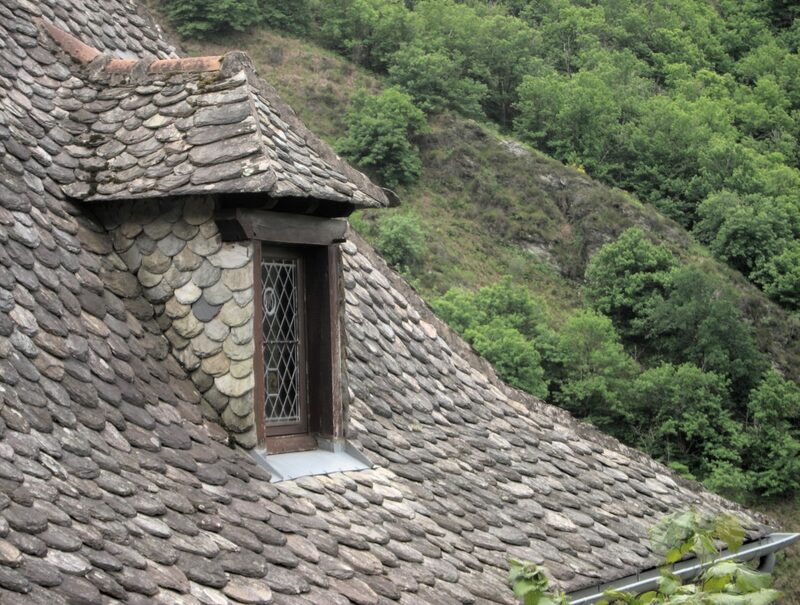 Because the materials with which the town was made are simple and natural: Stone and wood. We are creatures of nature and it’s natural ingredients that most touch our hearts. Buildings are like food: The less processed their ingredients, the better they are for you. Glass, steel, concrete, and plastic. These are the ingredients of industrial buildings. Sleek, cold, and alien, such materials carry none of the character and charm of their natural alternatives. Local artisans, the human hand, and the human scale have been replaced by corporations, machines, and gigantism. We’ve lost control over our own environments. 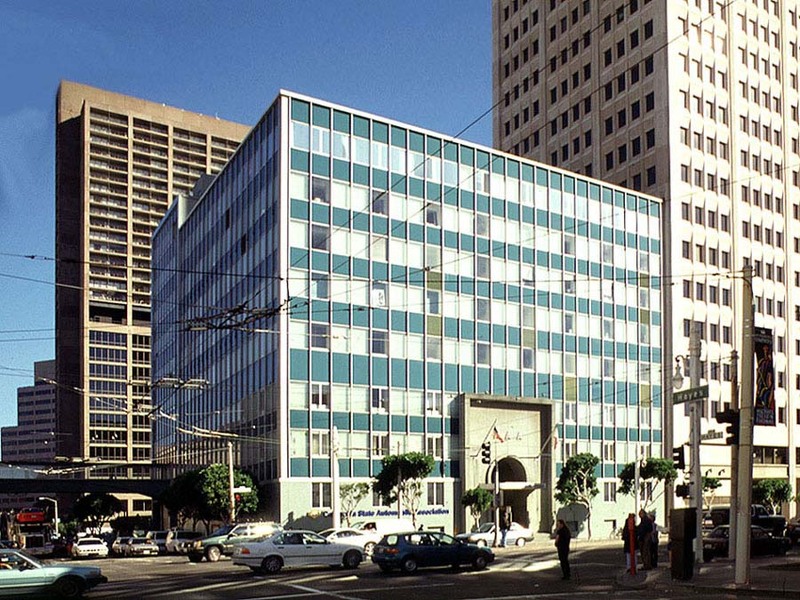 We’ll never love buildings like this one in San Francisco because they’re made with ingredients alien to us. A common misconception is that we enjoy the buildings of Conques because they’re old. But this is not true. How old do you think this building is? This modest but charming farmers’ hut near Conques looks like it could have been built 500 years ago. It was in fact built in 2012. We’re used to equating natural ingredients with old buildings. But this is incorrect. 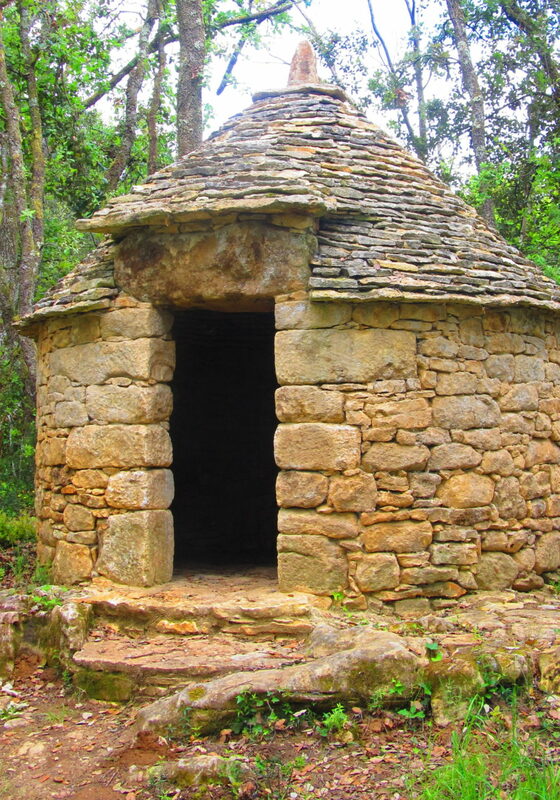 Natural ingredients are timeless, which is why the above hut looks like it could have been built in any era. Industrial materials are no more modern than their natural equivalents. The difference is that where industrial materials will one day look dated, natural ingredients never go out of fashion. Industrial elements pretend to be of our time; they fool us into thinking that natural elements belong to the past. Our buildings will stop being ugly when we return to using natural materials. On the medium to large scale we seem stuck for now with the bleak creations spewing from the industrial-corporate-bureaucratic complex. 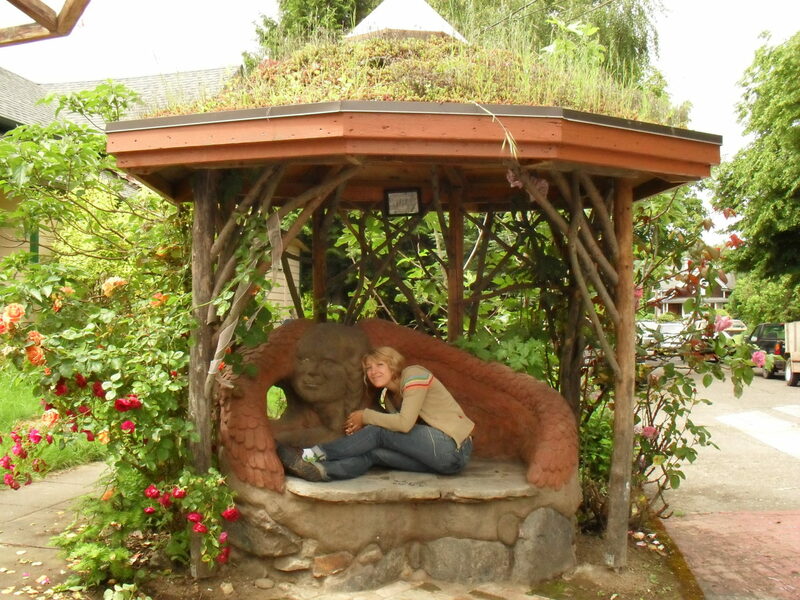 But at least on the small scale – gardens, sheds, and small structures – people like you and me can build with natural ingredients. 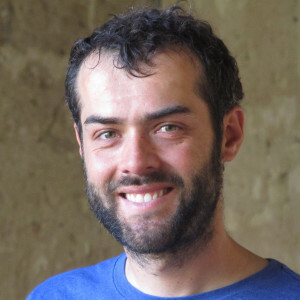 We’ll then begin to create the kind of modest made-by-hand beauty seen in places like Conques. PreviousDo Japan’s Tiny Police Stations Produce Nicer Cops?